When the heat of summer starts to strike, everyone can’t wait to visit a water park or maybe renting a water slide for you and your loved ones dive in! 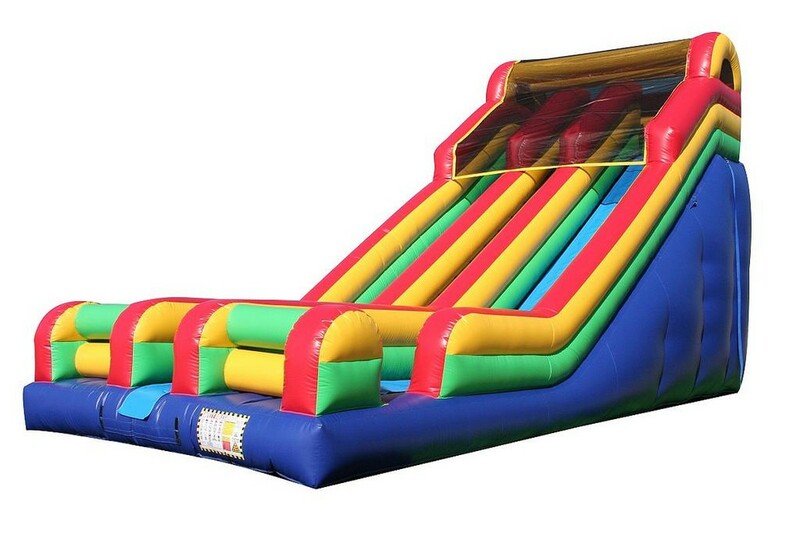 But even though an inflatable water slide rental may build memorable experiences for your children, as these large and colorful slides can bring a lot of excitement and are the perfect addition to any backyard party or special event, not following basic safety rules can turn that memory into a terrible experience. Today, we will like to offer you with some tips that will allow your kids have a wonderful time while also being safe too. 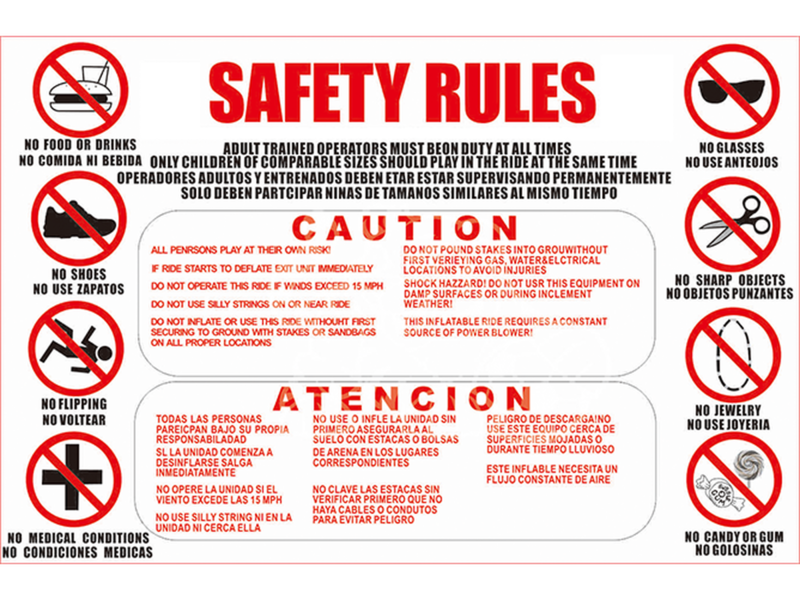 As a party rentals Miami company it is our obligation to guide our potential clients on the importance of safety! When your kids see an inflatable water slide, they will become over excited and might lose a bit of control. Some of them will cut in the line to go many times. Therefore, it is important that your children and little guests are instructed with strict rules for behavior. Here are some waterslide safety rules that you should give them. Weather is an important aspect to take into account as inflatables begin to deflate when the weather turns bad, so make sure to check the weather report and get ready to get everyone out before this happens. Ask the little ones to remove their shoes, jewelry key rings, belts or anything with a zipper. If you can, ask parents and kids previously to the occasion, to bring comfortable suits, a swimming suit will work just perfect! Adult supervision is one of the most important aspects when renting a water inflatable slide for kids. Sometimes the worst accidents happen due to lack of parents' supervision. If you find this a little tiring, taking turns is a good idea, but DO NOT ever leave the area unsupervised. It is important also, to always educate your children on security concerns and explain them the reasons why they are not ought to do certain things when using water slides. Instead of setting a bunch of ground rules, give them a reason why not to do these things! Avoid for it to get crowded! To avoid security concerns, manage the turns for every kid. Allow time between riders so it does not get crowded. However, if crowding begins at the end of the slide, briefly interrupt and ask riders to clear the area. If you are preparing a night party, or the party extends to the night, get ready, and rent light equipment beforehand, lightening should keep the party safe. Building nice moments with your kids is priceless but remembers that security should always come first. Make sure to get ready to receive your guests and be on top of their every move AT ALL TIMES! We hope that these set tips come very handy for you and you and all the little riders. We wish you to have an amazing inflatable day with your family and guests.